Minimally invasive approaches have developed to decrease the wound size and the associated painful muscle dissection in spinal surgery. These techniques can utilise tube retractors, microscopes and modified self-retaining wound retractors which do not compress the spinal muscle to increase the visual field or which are attached to bone by threaded pins. Lower and fewer doses of pain relieving medications are thus required in the postoperative period and mobility is enhanced. Spinal fusion surgery aims to permanently stop the movement of two or more adjacent vertebrae. The vertebrae are joined or ‘fused’ by a bone graft that grows solidly between the vertebrae. Implants such as plates, screws, rods and wedges may be used to hold this spine still while the bone graft becomes solid. Lateral Lumbar Interbody Fusion (LLIF) is a minimally invasive approach through a small flank incision to operate in a bloodless field through the psoas muscle to insert a cage and promote fusion of the vertebral bodies. 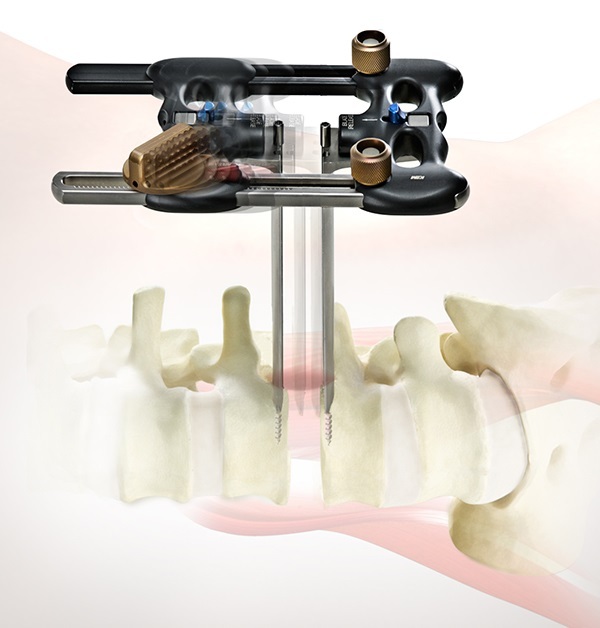 Anterior lumbar interbody fusion of the spine utilises a surgical approach through the abdomen to access the anterior or front of the spine to perform a procedure to join bones together such that there is no longer movement at that spinal level. This method allows the strongest part of the vertebra [spinal bone] which is the body, to be accessed without passing around or between the spinal cord and nerve roots. Discectomy is a surgical procedure to remove part of a disc that is pressing on spinal nerves in the spine. Cervical artificial disc replacement spinal surgery is a joint replacement procedure that involves inserting an artificial disc between the vertebrae to replace a natural spinal disc after it has been removed. 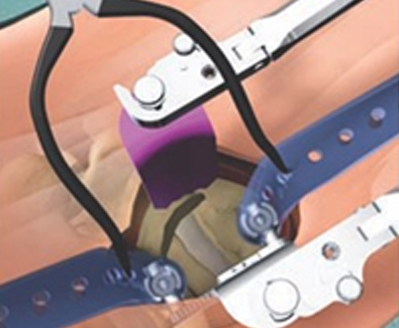 A cervical artificial disc is a prosthetic device designed to maintain motion in the treated vertebral segment. A cervical artificial disc essentially functions like a joint, allowing for flexion, extension, side bending and rotation. Some newer discs are compressible, and actually function like shock-absorbers, as do natural discs. Laminectomy is a surgical procedure to relieve discomfort, cramps, pain, tingling and numbness in the buttocks or legs caused by pressure on the spinal cord, the cauda equina or spinal nerve roots. Bone and other tissue that is impinging on nerves is removed to reduce irritation and inflammation.